Terraneo Tequila embodies our determination to challenge concepts, definitions, and conventions. 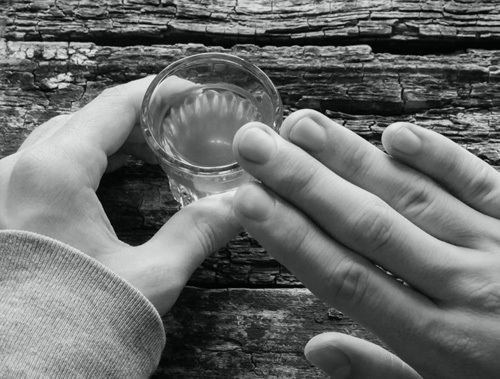 It is an invitation to rediscover the mystique, origin, and culture of tequila, a culture we want to share with you. Bright, crystalline and with silver hues. Very defined consistency and a long lasting end in the palate and nose. Pure and direct, with the distinguished aromatic qualities of the agave. An intense agave and alcohol taste complemented by herbal notes. An excellent appetizer thanks to its acidity and alcohol levels, which stimulate appetite. Produced mainly in Jalisco, with agaves of about eight years old, without aging in barrels, and stored for at most one month. The General Declaration of Protection of the Tequila Designation of Origin establishes that for tequila to be recognized as such, it must be produced in Mexico in the tequilera region, and be made of at least 51 percent agave. Furthermore, it specifies the 181 municipalities that are permitted to produce tequila, 125 of which are in Jalisco. The Designation of Origin requires the existence of a defined geographical zone, the formal declaration of proved recognition of the geographical area, a norm that establishes the precise conditions of elaboration and substantial typicity criteria. It certifies the authenticity of the tequila. It assures the quality of the product. It promotes the recognition of tequila on an international scale. How do we benefit from the organic? We keep our soil fertile. By preserving the vegetation cover in our fields we prevent soil erosion. We protect the wildlife that inhabits our fields by not altering the ecosystems. We do not pollute water. We do not use chemicals that may alter the composition of groundwater. 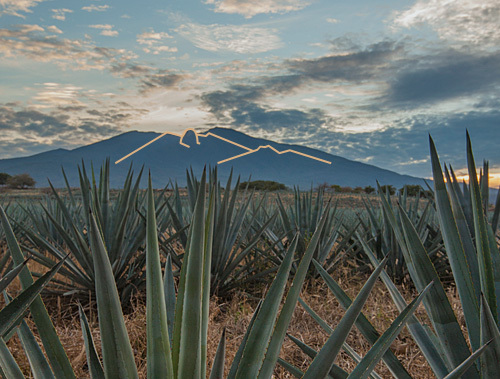 We keep agave’s natural flavor. Because it is organic, it does not contain herbicides, insecticides, fungicides or other chemicals that may harm our body. Various municipalities of different Mexican states currently produce tequila with Designation of Origin; nevertheless, Jalisco stands out for possessing the ideal geographical and climate conditions for the optimal growth of the blue agave: a subtropical semi-arid climate –of dry and mild springs and winters–, an arid soil rich in minerals with an altitude of 1200 to 2000 meters above sea level. Light intensity (hours/light), rainfall, temperature, and relative humidity. 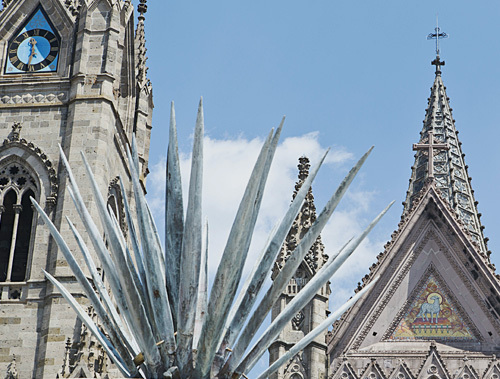 In this particular case, the Agave Tequilana Weber, endemic species of the 181 municipalities defined in the Designation of Origin and, therefore, perfectly adaptable to the weather conditions and soil. In other words, the cultivation labor, harvest, production and ripening of the tequila, the techniques, artisanal traditions, and abilities applied. Body, aroma, and flavor are some of the characteristics that merit time and attention. Just like the experienced traveler who stops to admire the beauty of the road he explores, the connoisseur of the particularities that authentic tequila offers knows that only a responsible consumption guarantees its full taste. Moderation reveals mystique, essence, and the authentic tequila taste. It allows to discover qualities such as the aroma, hue, taste, intensity, and body on each sip; details that can only be discovered when drank in moderation in order to perceive them little by little, one by one. A refined taste is developed by responsible drinking; proper of an educated drinker, who seeks out quality not quantity, who recognizes the virtues of this drink, and therefore enjoys it with moderation. Today, tequila enjoys prestige and international recognition and is a symbol of commitment, dedication, and passion of all those who love the art of its production. Such a degree of recognition and symbolism merits an exemplary homage: moderate consumption that equates to body, aroma, and taste of a memorable organoleptic experience.